Lumberton, North Carolina is a two-time ?All-America? city, receiving honors in 1970 and 1995. It's located on the Lumber River in southeastern North Carolina. The river originally derived its name from the extensive timber harvesting in the 1700?s. 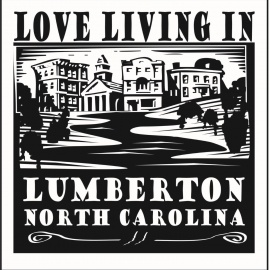 In 2005, Lumberton was re-designated as a North Carolina Main Street Community in 2005 and was recently named the first North Carolina Certified Retirement Community. Chief among Lumberton?s many assets is its convenient location, natural beauty, and mild climate. It has a strategic central East Coast location and is halfway between New York and Florida on I-95. Residents and visitors do not have to travel far to enjoy the Western North Carolina mountains or the beauty of the Atlantic beaches. Lumberton is family focused and hosts a number of popular annual city events.